Challenges- look to receive ball in middle channel (only attacker can go in). Once turned either run in or pass in to attack goal. 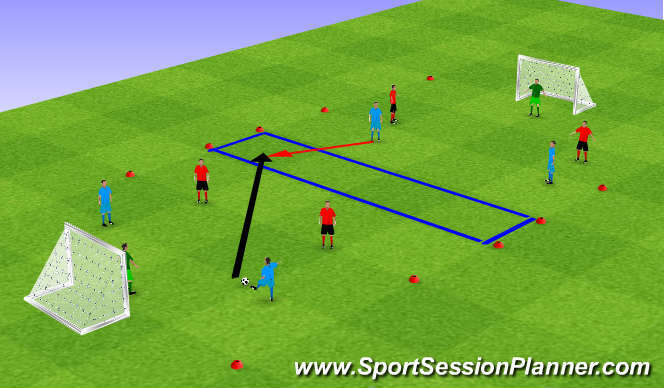 This game can be used with different numbers in each half, or as a defensive practice.